If you use essential oils on your hair, there are many advantages. If you want to make your hair thicker, treat your dry scalp or dandruff, provide shine and strength to your hair, lighten your hair the natural way, essential oils are a natural and safe alternative. Essential oils are also more cost effective. All you would need is a bottle of your favorite essential oil to nourish your hair and also lower your stress, decrease pain, and combat skin infections too. In addition, essential oils are completely natural. This means it doesn’t have dangerous chemicals. As a whole, it’s good for the home and the environment! These essential oils for hair provide safe and natural solutions! It is quite easy to use pure essential oils for hair growth, for example, peppermint essential oil. 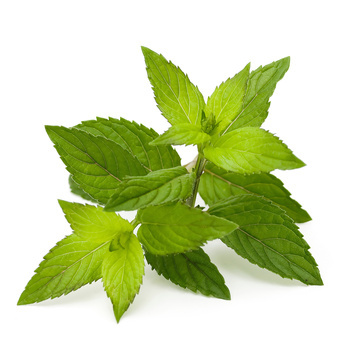 Peppermint essential oil stimulates the scalp and treats dandruff, even lice because of its strong antiseptic features. Studies suggest that peppermint essential oil creates hair growth as well. During some research of animals in 2014, applying peppermint essential oil for 4 weeks showed permanent hair growth impacts, raising the thickness of the dermis, follicle depth, and follicle number. Peppermint essential oil has a cooling and pleasant feel when you apply it topically. It also aids in calming the skin because of inflammation. To use, you can put in two to three drops of peppermint essential oil to your conditioner or shampoo so you can get a quick wake me up during your morning ritual. Did you know that you can naturally treat using essential oils for dry damaged hair? It can stimulate the growth of hair, eliminate dandruff, and nourish the hair. It is usual for people who suffer from hair loss to go to topical hair loss products or even hair replacement surgery so that they can recover their hair. However, in order to combat hair loss, you should address the root cause of the problem. This could be by raising circulation, combatting inflammation, or increasing moisture. The great thing about essential oils is that a couple of drops can do wonders for you. You do not need to use products that have chemicals to increase hair growth. Essential oils like rosemary essential oil and cedarwood essential oil could be topically used to reverse and prevent the loss of hair. Another typical problem is getting rid of dandruff. This is actually a skin disorder impacting half the world! Dandruff comes about due to the buildup of dead skin. In serious cases, a yeast like organism worsens it. It can be because of hair care products that have chemical ingredients that make your scalp itchy, red, or scaly. The essential oils have gentle, healing, and moisturizing features, like lavender essential oil. They can aid in fighting dandruff the natural way, getting rid of usual hair care problems such as an itchy and flaky scalp.